October 28th in Arkansas. 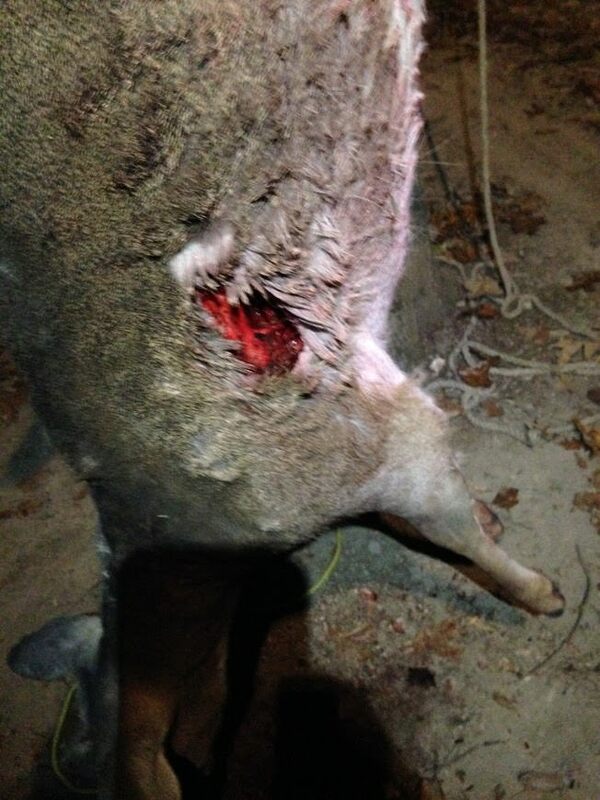 Shooting this doe made me a Simmons Broadhead believer. Very nice. That's a Big'ol hole. Congrats. Serious amount of blood Congrats! Doesn't look like she could have traveled far after that hole let the air out of her-congrats. Thanks guys. She didn't go far, just about 50 yards. Great deer! What model Simmons were you shooting? I shoot the Tiger sharks, and they will unzip a critter. South MS Bowhunter, I shoot the Tiger Sharks as well. I had the bleeder blades in as well. I'm about to order some more. Do you use the bleeder blades? I'm considering not using them next time, I don't know. Noah was really jacked up about this doe. 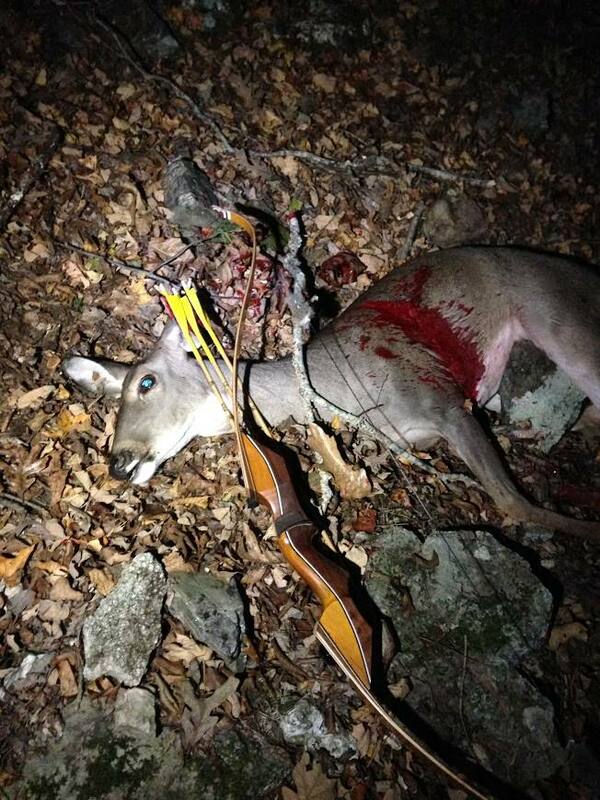 He has taken many deer with bow ann arrow but has had a few bad experiences the last year or two with very little blood to follow after his shot. He was really happy with the shot and the damage the head caused. A good quick kill. Made dad proud too. Good looking bow too. Hahahaha!